My name is Amel, I am a global nomad. I was raised as a kid across 4 countries, and built my adult life across 4 other countries. Although I have always felt so blessed to have this life and cannot imagine it differently, it has never been as challenging to define my identity and my path since I started traveling from a country to another to be with the man I love. Just in the 5 first years of our marriage, we moved to 3 continents. At the age of 16, I was already living by myself, I became independent very early and this has shaped my personality. It is quite ironic that at that time, I used to say to my mom, who is also a "trailing spouse", "I will never, ever, quit my job and my life for a man!" Well, I've learned my lesson, "never say never"! I have not once regretted my choice, because it is such an exciting life that I have the chance to experience with my husband. However, I have never felt so lonely in the process of redefining my identity and my professional achievements on the move. When I tried to explain my challenges around me and get some guidance, the answers I got depressed me even more! "Why do you care so much about your career, your husband can provide for you? ", "You will never find a job here, we know you will be leaving soon again", "Just make a baby, it will get you busy and you'll forget about this". What I also found frustrating the first months in a new country was when I was systematically introduced to people as my husband's wife, sometimes not even mentioning my own name! Despite the discouraging feedbacks and thanks to my husband's incredible support, early in my journey, I made it a point to focus all my energy on intentionnally figuring out who I was, and how I wanted to build my own life, career and feeling of fulfilement while moving from a country to another. It was not always a smooth process, and in some of those transition phases as a "trailing spouse", I am pretty sure that a lot of people around me found me quite hysterical! I am not a big fan of the term "trailing spouse", I personally use the term expat partner, because it is and should be a Partnership. If we decide to go into this journey with our partners, we should do it as a team. But once I decided to take this topic publicly and interviewed over 60 expat spouses in the last year, here is what I discovered, for a lot of women, being an expat partner, does feel like trailing! I have a question for you. Every time you moved to a new country, how much energy did you put into setting up your new home, unpacking, making sure that the kids have all what they need, figuring out where to shop, where to find trustworthy doctors, how to find your way in the new city and developing your social network? Also, you have probably done all of that in a totally new cultural environment and in a language that you don't even understand, right?! Once you started figuring all that out and started having a sort of routine with your partner and your family, did you by any chance ask yourself this question: Where did my time go? What did I do with my life since we've arrived? You might have even said this to yourself: What is the point of starting something new now as we might be leaving soon again? And this is how, year after year, a lot of expat partners wake up one day not knowing who they are anymore and what they really want. They forget about their dreams and aspirations, they realize that taking care of the family and the household, or sometimes even volunteering here and there, is not enough anymore to make them happy. They forget about their passions, their talents, what they have achieved in their past and totally lose confidence in themselves. Nomad sister, don't wait to get to this point! When I decided to speak about this issue publicly, I made some research and created the podcast show Tandem Nomads (free online radio show). It will soon be a year since I've launched this show where I interview inspiring expat spouses that share their stories with those who want to build a portable career and thrive in their global nomadic life. I recently decided to compile some of these interviews into short extracts and organize them by theme. There are four themes that I believe to be the most essential pain points but also areas of great opportunities for expat partners : identity, planning, career and entrepreneurship. In the first theme of this compilation, we focus on how to build confidence and a strong identity when living in constant transition as an expat partner. Evelyn Simpson, co-founder of Thriving Abroad, says: "Don't just think about this move, think about what comes next and speak up for yourself, if you do not take care of your needs, no one will". Kristin L. Duncombe, psychotherapist and author of "Trailing: a memoire", also shared something very powerful: "I realized that I was waiting all my life for permission to be who I wanted to be. The biggest mental leap of my life was when I realized that I was waiting for someone to give me a job versus creating my own job". Rashmi A. Zimburg, intercultural coach, says: "It is hard to say I won't do what makes me tick because my husband needs to do what makes him tick. Forgetting yourself is a bad idea, everything suffers from it in a ripple effect, as soon as you take care of your needs, the shifts happen". Lisa Webb, founder of Canadian Expat Mom and author, shared: "To find my way I had to find my passions while being a busy mom, my passion for writing became my profession and part of who I am". To help you go through this reinvention and empowering journey, I will be regularly sharing with you inspiring stories and useful resources. I can already say that the most important thing to know is, first of all, that yes! You can do it! From all the incredible stories I've heard, I can tell you, it is never too late! And there is no expat partner that does not have what it takes to turn her (or his) dreams, talents and skills into a strong identity and a portable successful career. The second thing is, don't be lonely in this, don't be afraid to share your frustrations with those who are in the same situation and can understand you. Also, don't let other nomad sisters (and brothers!) be lonely in this either. We are stronger in this if we support each other, inspire each other and share guidance with each other. 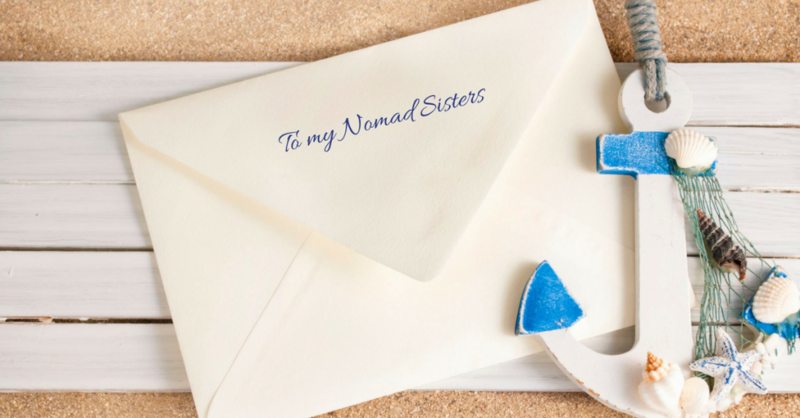 You can't imagine how grateful I am to all the expat spouses and experts that accepted to share with us their intimate stories and experiences on Tandem Nomads' podcast show nearly every single week for the past year. And I am very grateful to all of you who reached out to me to let me know about the major impact it had for you and your family, I can't be more thrilled about it! It is the biggest reward I can hope for. If you haven't had the chance to listen to these episodes yet, you can already start having a little glimpse on these powerful interviews, through these short extracts compiled around the topics of identity and expat life planning. 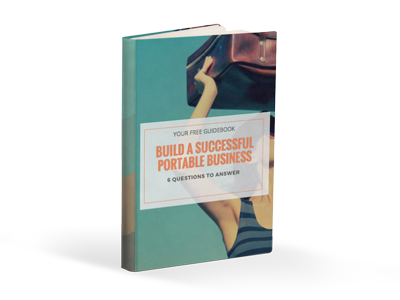 Coming up compilations will be on portable careers and entrepreneurship. You can request here that I send you a notification as soon as these episodes will be on air . I am so passionate about helping our community live up to its full potential, and I really hope that this message and these resources will help you find the inspiration to turn your challenges into great opportunities! Remember, don't wait! Take action! Feel free to reach out and share your take on this, your challenges, your story and your sources of inspiration.